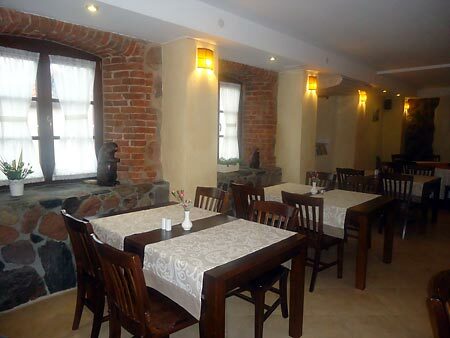 “Bobrowy Dwór” restaurant is located in the original walls of an old 250-years-old water mill. Our chef offers a wide range of tempting delicacies, traditional Polish food with a modern twist. Guest house’s restaurant can seat up to 60 people at once. Restaurant’s terrace located directly at the bank of the River Orzyc where the Guests can enjoy cuisine of our chef in the beautiful surroundings of nature is very popular from early spring to autumn. It is also an ideal place to organise an outdoor event or a barbecue. “Bobrowy Dwór” restaurant is open daily from 11:00 to 22:00. We invite you to familiarize with the current restaurant menu.